Good Beer Week’s ever popular Foodie stream is back in 2018 to satisfy all epicurean cravings at this year’s festival, with help from a brew or two. Degustations, cooking demonstrations, food and beer matchings, brunch, barbeque, and fine dining – Good Beer Week has all your foodie needs covered in one fine festival from 11-20 May 2018. Bringing together Melbourne’s finest female chefs and leading female brewers, Mega Dega VI is sure to be a platinum hit of GBW 2018. On Friday 16 May from 6:30pm, Mega Dega VI partners up with Private Dining Room once again to create a unique and experimental dining experience held at a secret location in Melbourne that will only be revealed on the exciting night. For those with a sweet tooth, there’s no going past the Good Beer Gelateria at Arbory Bar and Eatery. Chef Nick Bennett has created an exclusive collaborative beer flavoured gelato. With scoops available every day of the festival, there will be plenty of time to dig into this limited-edition creation. The cheese lovers are also covered with Perfect Match: Cheese and Beer event at Milk the Cow Carlton. The booming event guides foodies through a history of artisan cheeses and boutique beers, while exploring the earthly, yeasty tastes that make cheese and beer a perfect match. 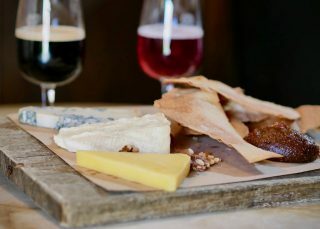 Other events that will satisfy cheese devotees include the White Rabbit Brewery Cheese Dinner in Geelong, pairing White Rabbit brews with delicious delights from King Island Dairy. Join Good Beer Week newcomer Paul Wilson at the two events he’s hosting at Wilson and Market in Prahran: Biodynamics and Beer and BBQ and Brews. Biodynamic and Beer is a collaboration between Paul and Transition Farm, who have teamed up with Stone Brewery to showcase a sustainable shared table feast with complementing craft beers. BBQ and Brews is a collaboration between Paul and Dave Marshall who will bring to the table a Meatopia block party of craft beer with the deliciously cooked low and slow BBQ. There are vegetarian and vegan events a-plenty this year with the return of the Meat ain’t Real but the Beer is! This event is a collaboration between popular plant-based restaurant Smith & Daughters and local brewery Barrow Boys. 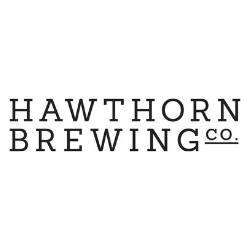 Showcasing Aussie classic dishes, Aussie tunes, and heaps of beer and cocktails, this event will sure to be a night to remember. Another featured event is the La Sirene Vegetarian Degustation. The intimate evening at Henry Sugar features a delicious six course degustation, paired with Henry Sugar’s very own selection of refined and simplistic cult brews.